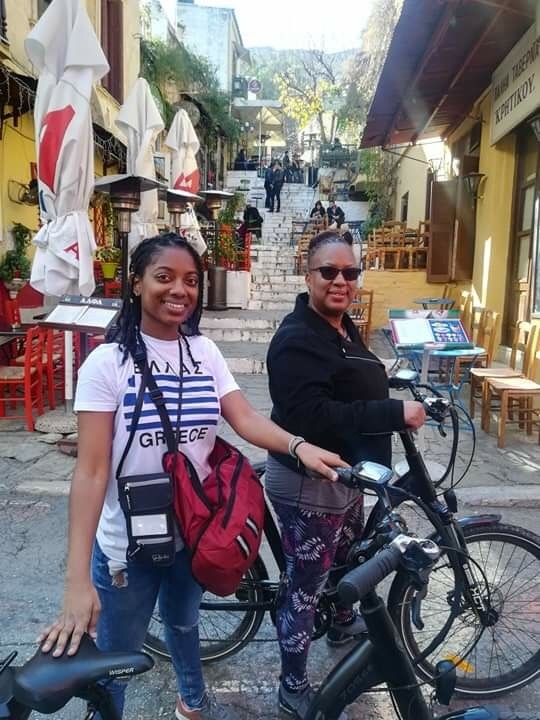 Whether traveling alone, with family or friends, our City Bike Tour is the absolute best way for the fun-loving visitor to explore and experience the fascinating history of Athens. On this City Bike Tour, through the center of Athens you will enjoy the company of our knowledgeable and entertaining tour guides, the use of a comfortable and easy to ride bike. During and after the tour we will give you useful tips and advice to make the most of your time in Athens. This is a fun and informative outdoor experience, a chance to meet other travelers and simply the best day of your Athens visit. The City Bike Tour includes many of the most popular tourist attractions but also less popular areas that you will adore and apreciate seeing, a perfect presentation and overview of Athens. We’re looking forward to showing you our captivating city ! Meeting point: 53 Apostolou Pavlou, Athens. Close to Thiseio train station. Children 5-9 on booster seat €15. Infants seat 0-4 free of charge.